It is he who first broke the silence and informed the world, that A.R.Rahman is indeed the composer for Danny Boyle’s “127 Hours”. I am talking about the composer, orchestrator and Conductor Matt Dunkley. Matt Dunkley is the orchestrator for all of A.R.Rahman’s symphonic, orchestral scores. The legend of Bhagat Singh, Warriors of Heaven and Earth, Meenaxi: Tale of three cities, Bose – The Forgotten Hero, Mangal Pandey, Elizabeth: The golden Age, Couples Retreat, 127 Hours and Endhiran – The Robot are the films in which Matt Dunkley worked with A.R.Rahman. In this interview, Matt clarifies all the doubts I had about the working relationship between a composer and an orchestrator. Further, he shares in detail his experience of working with A.R.Rahman. The first time you worked with A.R.Rahman was for an Indian film called “The Legend of Bhagat Singh” and it has been 8 years since then and you have worked for nearly 8 films with him after that. How did he find you? Tell us, in general, about your experience of working with A.R.Rahman. What is the role of an Orchestrator? Does the composer (A.R.Rahman) write only the main melody of the piece and leave the rest to the Orchestrator? Or does the composer make a digital mock-up with all orchestral layers and you just notate the score and conduct it? Does he play each layer of music in Piano? How significant a contribution of a composer is in the orchestration of the final piece of music that we get to hear? I get asked this question a lot! In simple terms an orchestrator’s role is to take whatever the composer has written and to notate it for orchestra in such a way that truly represents the musical intentions of the composer. So with AR for instance, he will give me a computer file from his “Logic” sequencer (a sequencer is the software program that enables a composer to play sample instruments via midi alongside audio and synced to picture). This file will contain the music he has played in via a piano keyboard triggering different sounds – I can see the notes – and an audio mix of this music. So he might have played in some string lines, and some brass and woodwind, and some percussion too. My job is to take all this information and notate it into a “full score” which has all the instruments of the orchestra we are using (see below an excerpt of the printed score sheet of a background score cue “Robo Ball” that Matt notated for the film Endhiran – The Robot). Now AR might have only used a horn sample in his file, but I will then split this horn writing out over the rest of the brass too (if stylistically this feels right), so I would add trumpets and trombones etc. The same goes for the woodwind and strings and percussion, and I might add a harp or a piano etc. Always my aim is to enhance and support the intentions of the composer. It’s a big trust thing for the composer, because he or she is handing over their work to another musician, so the trick is to be sympathetic to the style of writing and not for me to impose my own voice onto this. That is why film composers tend to stick with the same orchestrator once they have developed this rapport. I have clients that I have worked with on 15 plus movies. The amount of musical information in the digital mock-up score varies from job to job and from composer to composer. I have been asked to write a large end of movie cue for full orchestra from only a piano guide, though this is pretty rare these days. More often than not, as is the case with AR, I am given a midi mock-up that will give a good indication of the orchestration required, but will still leave room for me to have an artistic input in further enhancing the orchestral textures and add phrasing and dynamics (volume markings). We know, through various interviews, that A.R.Rahman does not write the score on a paper score sheet. In today’s time, with so much technology around, is it necessary for a composer to pen down a score to the last detail on a sheet? I understand that very few composers, like John Williams, work with a pencil and paper still for a film score. I started out scoring on pencil and paper, but as the technology came in I embraced it. I well remember the hassle of trying to courier scores and parts to the U.S. for film sessions – and the anxiety when they got caught up in customs or went missing. Now I can finish a score and email it instantly anywhere in the world. John Williams has been doing this since the 50’s so I think he’s entitled to use whatever he likes! 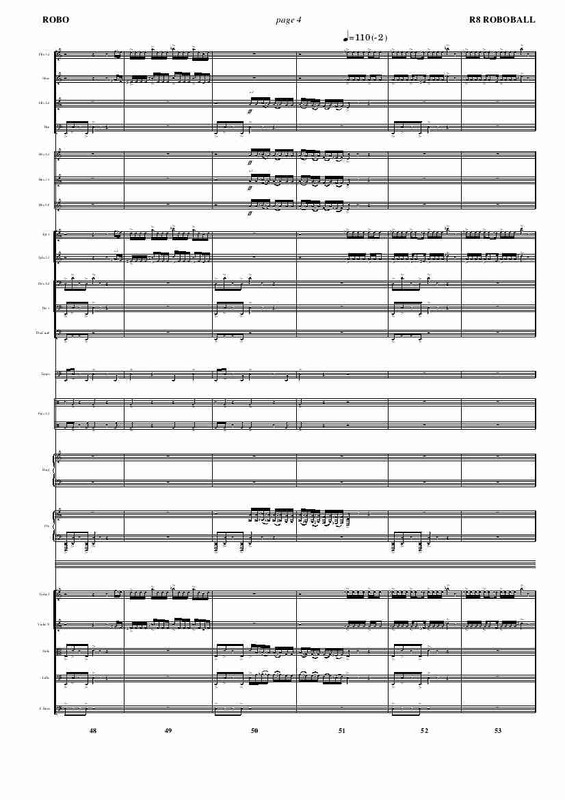 But I’ve seen his scores – they are very detailed 8 stave pencil sketches, but they still need an orchestrator to split them out into a full score, and this is done on a computer. The other thing to remember is that individual orchestral parts need to be made from the orchestrator’s full score by the music copyists. With a pencil and paper score every single note has to be re-input, this takes time, and in the movie business time is always at a premium. With a computer notated score, the data is already there, so it’s more a case of data manipulation. 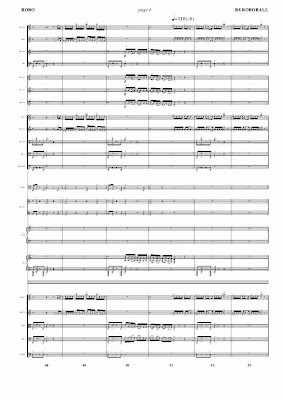 My copyists can print out a 4 minute action cue for full 80 piece orchestra within an hour – with a pencil and paper score and hand copied parts that would take the best part of a day. Though A.R.Rahman’s eclectic scores for Slumdog Millionaire and 127 Hours are receiving sky high praises, his typical Hollywood style orchestral score for “Couples Retreat” was not appreciated as much as it should have been, critically? Why do you think this is so? Does the appreciation of a score depend also on the merits of the film? Couples Retreat was a lovely score; we recorded it in L.A. on the same recording stage that all the great MGM musicals were recorded, so it was a special experience. But yes, in answer to your question, I think quite often good scores are overlooked simply because the movie isn’t very good. I’m not saying Couples Retreat was a bad movie, but I think it’s fair to say that AR’s score was better! If you look at the Oscars over the years, so often best score goes with best picture, which was fabulous for AR last time around, but can lead to other notable scores losing out. Slumdog and 127 Hours are both really well crafted movies and the fact that that also shines a light on AR’s beautiful music is good for us all. Though you are an Orchestrator, you are also a composer. How do you balance your sensibilities and the composer’s, when you orchestrate a melody of another composer? I do compose and love doing so, but as I said earlier, an orchestrator’s job is all about fulfilling the composers’ creative vision, so I am very careful not to impose my “voice” onto another’s. I’ve been doing this for a while now and I’m just coming up to my 100th movie so I think I’ve learnt how to represent a composers music using my orchestration techniques without crossing the line. They have created the core material that I work from, so as long as I stay true to that the balance is achieved. Since what stage do you get to be part of the creative process of making the original score for a film? Do you get to know the complete script of the film, watch the entire film and sit in spotting sessions? This varies from film to film, but generally I’ll come in right at the end of post production. Usually the composer will have been working on the score for 2 or 3 weeks before we start our discussions about orchestration and recording session schedules. I will hear some early demos and receive a cue list and spotting notes so that I can get an overall picture of how much music there is to record and what type of instrumentation we will need to achieve this. I will then suggest an orchestra size (or sizes) and how many recording sessions we will need. I’ll then liaise with the studio, engineer, orchestral contractor and music copyists to make sure we all agree dates etc. Sometimes I’m sent a script, but more importantly I always like to orchestrate to picture if possible, as there is no point me adding loads of brass and percussion on a particular cue only to find out at the recording session that the music for that scene is all under dialogue! Occasionally I will come in earlier on a production, particularly if there is playback music on set that needs to be pre-recorded before the shoot. Tell us about the Concert in which you conducted orchestral works of A.R.Rahman in Royal Festival hall. On what basis, the scores were picked for performance. Some of A.R.Rahman’s Indian film songs were also performed with the orchestra. How easy or difficult was it to adapt those film songs for a Symphony orchestra? How well was the concert received by the audience? This was something AR had wanted to do for a long time. We had tried something similar a few years before with the City of Birmingham Symphony Orchestra, but because of time pressures and budget we didn’t really crack it on that occasion. So I sat down with AR and firstly, as this was an orchestral concert with a 76 piece orchestra (London Philharmonic Orchestra) and a 32 voice choir (Metro Voices), we went through all the orchestral material that we had worked on together. He chose the pieces that he liked best from this body of work and then suggested other songs and instrumental pieces that he’d like to adapt for orchestra, as well as pieces from his theatre shows. The first challenge was to make orchestral “suites” out of the film music, so that they flowed as concert works, rather than just being individual film cues. We chose songs that didn’t have too electronic a starting point, so that the substitution of an orchestra for a backing track wouldn’t sound too forced. We also went for songs with simple melodies (without too much ornamentation) so that I could divide up the melody amongst the orchestra without it sounding like a pastiche of the original, but rather a re-interpretation. As the concept for the concert developed and evolved, we managed to include 2 wonderful singers (Alma Ferovic and Michael Rouse), an Indian flautist (Naveen Kumar), a sitar player (Asad Khan), an accordion player (Eddie Hession), as well as Gauri Tripathi and her dancers. It was quite an evening, and the sell out audience of 2500 in the Royal Festival Hall really seemed to enjoy hearing another side of A.R.Rahman’s genius. How different it is working with A.R.Rahman for the score of an Indian film from that of a Hollywood film? The main difference is how AR approaches the scoring. In a Hollywood movie the tradition is very much to demo an audio mock-up of every musical moment or “cue” in the film. This “cue by cue” approach is the standard way of scoring a movie in Hollywood. Each demo cue is put to picture (usually with the help of a music editor) and then submitted for approval to the director, producer, film editor and anybody else who have a say in the movie. Often each cue can be sent back a number of times for “tweaks” or even full rewrites. I’ve seen “Version 15” on a cue file!! In an Indian film, as only some of the music is background score (the rest being the songs), AR tends to write longer pieces in different moods that can then be cut into the movie to fit various scenes, so it’s a much freer approach to writing really. You have also worked with some of the great Hollywood composers. How different or same A.R.Rahman is in comparison with Hollywood composers? I think, like all great movie composers, AR shares that unique ability of both serving the needs of the movie and writing fabulous music. It sounds such an easy thing to do, but so often one hears effective movie music in the theatre that doesn’t work as stand alone music when the picture is taken away. That’s fine, as the music’s primary function is to serve the picture, but AR and only a handful of other Composers seem to be able to write scores that work in both ways. I remember numerous times recording in London and L.A. and Prague when the orchestra have been really moved by the power and beauty of maestro Rahman’s writing. That’s a unique gift, and one I’ve been privileged to be a part of. Have you heard A.R.Rahman’s non-orchestral works, like songs, in Indian films? What is your favourite A.R.Rahman Indian film song? I have indeed heard them. In fact I saw him perform many of them when his recent “Jai Ho” tour came to London. As to a favourite…….that’s a tough one! As I get older I seem to be drawn more to simplicity in music – in classical music I’ve started listening to Bach again, and just love the way he expresses so much with so little. So, if I’ve got to pick one song then I’m going to say “Nahi Samne” from Taal. It’s such a gentle, simple, little tune and yet it never fails to move me. I did an arrangement of it for the RFH/LPO concert and it worked beautifully as a peaceful end to the evening. Which is your favorite orchestral score of A.R.Rahman? And Why? Another tough one! Like choosing your favourite child! Ok, well, if I’m sticking to my simplicity theme then I’d say Meenaxi for its beautiful simple melodies. But if I’m choosing for the inventiveness of the writing and the sheer variety of orchestral colors it’s got to be Warriors of Heaven & Earth. The score for “127 Hours” - Do you think it is a serious contender for Oscars this year? (Even Inception score, for which you have worked, seems to be strongly in contention). Who knows! I never guess the Oscars correctly. I do know that it’s a lovely subtle score that fits the picture beautifully – I saw it the other night at the London Film Festival, and that final song duet between AR and Dido is perfect. At the other end of the spectrum, Hans Zimmer’s Inception score is pretty amazing too. Thanks to Matt Dunkley for patiently answering all the questions in such stunning detail. Great interview Suresh. Lot of insights about ARR's orchestral scores. I still don't get it..rahman sends some cues via the sequencer and matt writes the score pertaining to each instrument and then conducts it? is the robo score attached here is written by matt..does that mean rahman never writes a full score music? Great interview Suresh! Good that you are getting in touch with such people and taking interviews. Do you have a bigger image of the score sheet? If time permits, I will probably try to sequence it on my computer. Also do you know which visual this corresponds to? Is it the sphere formation at the end? Yes. I have a clearer image of the score sheet as a pdf file. I will put up a downlad link in the blog soon. And Yes. It is that Sphere formation scene. Excellent interview and great questions Suresh. Matt has also answered in very detailed manner. Thanks to both of you. But I got a doubt. 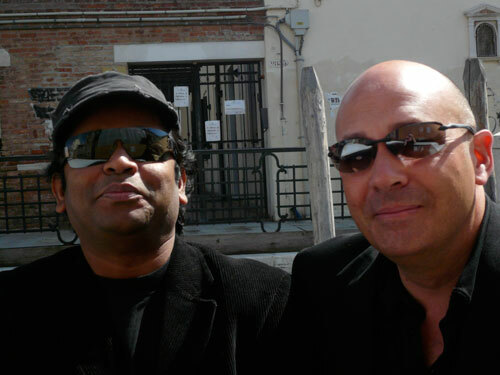 As you were replying to a comment, Rahman never writes FULL score music(and only sends the cues to the orchestrator). Is it true for even 'Slumdog Millionaire' for which he got academy award for Best Original Score? I meant that he doesn't write full score, when the piece is to be performed by a Symphony Orchestra. As far as I know, no symphony orchestra played for "Slumdog Millionaire" score. Gr8 interview and apt questions. Very few wud hv thot to interview this guy. Also Goes to prove a point that interviewer knowledge on subject is very important. Most of the times interview fails bcos interviewer does not know the subject. Also am very impressed with your site and your knowledge on music which only a gifted souls in the universe has. Its a pleasure to read as we dont get to read such things in any magazines nor do we get a chance to hear from the guys who create it. Keep up the gud work. Great interview. It's always great to read about the technical processes behind the scores we all love. Matt Dunkley is a great composer himself too, "The Four Musketeers" is a little-known but great score. No news for a score release of Robot, BTW? Ravi Krishna - Thank you. I should listen to "The Four musketeers" soon. I feel that they would definitely release Endhiran score, sooner or later. as Rangabalaji has already commented, it's the interviewer's knowledge and passion that brings out the best from the artist being interviewed. Glad to see a comment from you after a long time. Well gr8 interview first of all!! !